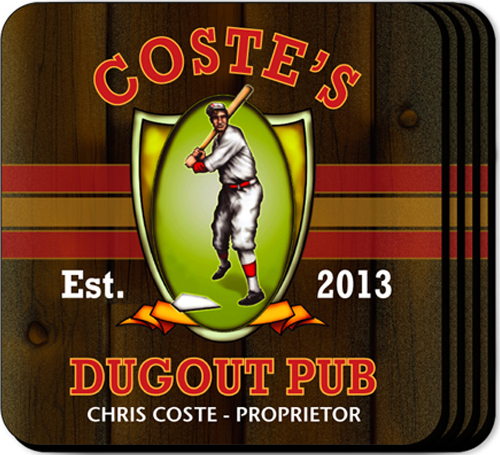 * Our personalized coasters are a perfect accessory to any bar or family room. 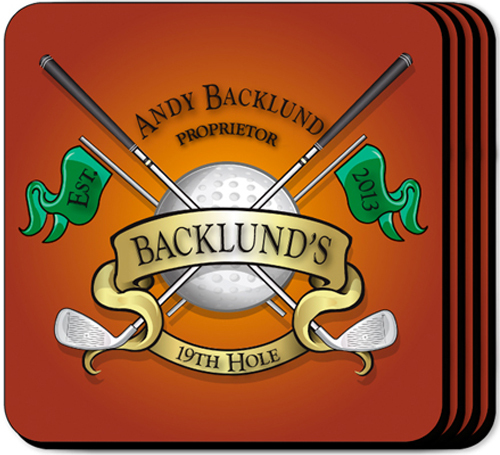 * This set of four richly detailed, waterproof coasters reflect his favorite activity from golf to poker to beyond. 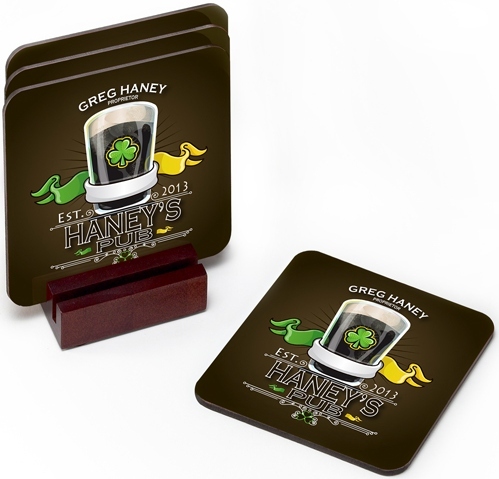 * Personalized design is printed in full color onto a non-skid cork base. 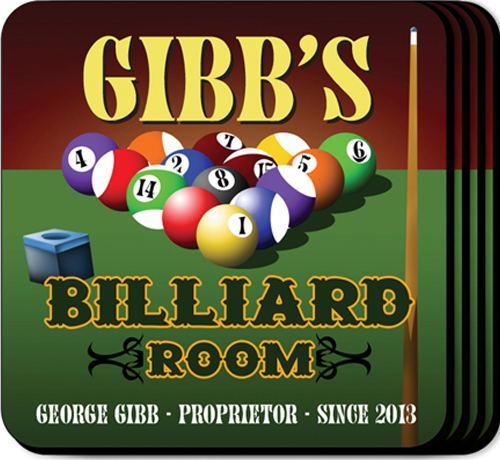 * Includes 4 coasters and mahogany caddy.